2019 Axxess Card onwers - $75 off 4 tires and alignment ($55 off 4 tires (not available on customer provided tires), $20 off alignment), $20 off brake jobs. Please call us for prices. The coupon applies to all brands of tires and sizes. Yokohama up to $100 mail in rebate with purchase of four select Yokohama tires (April 1- April 30). General up to $70 mail in rebate with purchase of four select General tires (March 1- April 30). Michelin $70 mail in rebate with purchase of four Michelin tires (March 20- April 18). 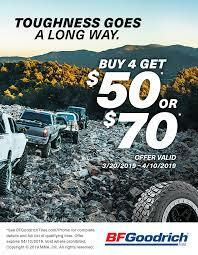 BFGoodrich $50 or $70 mail in rebate with purchase of four new select tires (March 20- April 10). 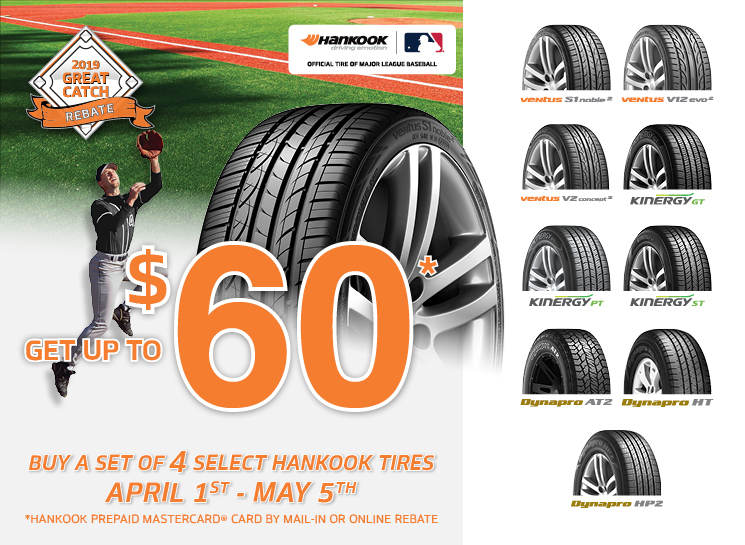 Hankook up to $60 mail in rebate with purchase of select four Hankook tires (April 1- May 5). Cooper up to $100 mail in rebate with purchase of four new select Cooper tires (April 1- April 30).